SAINT PETERSBURG: Spain’s World Cup roller-coaster ride finally ground to a halt on Sunday and the finger-pointing began after their third consecutive failure at a major tournament. Spain’s dominance will do nothing to ease the disappointment following what can now be judged as a truly farcical World Cup campaign. Julen Lopetegui, the coach fired two days before Spain’s opening match, and Luis Rubiales, the Spanish Football Federation president who fired him, will be circled as the key offenders. But Fernando Hierro, Lopetegui’s replacement, and David de Gea, who endured a torrid tournament in goal, will take their share of the blame too. Many would argue it was clear at the time that changing the coach two days before Spain’s opening game was unlikely to benefit the team. With Hierro in place, however, there were positive signs against Portugal, when Cristiano Ronaldo’s free-kick overshadowed an assured Spain performance in a 3-3 draw. Against Portugal, he allowed Ronaldo’s shot to slip through his hands. Against Russia, Igor Akinfeev starred in the shootout while he failed to save at least two spot-kicks he might have kept out. 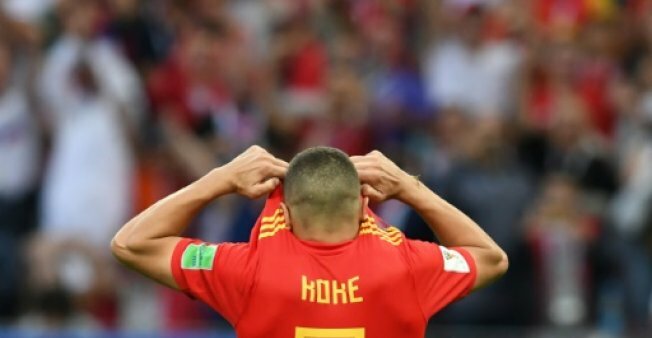 A debate has emerged during this tournament around Spain’s possession game and it might be that a new manager decides to update the old, winning formula.